One of the most accurate, lightweight and affordable power meters available! If you currently have a Shimano R7000 crankset on your road bike, this 4iiii PRECISION Shimano R7000 Power Meter is for you! 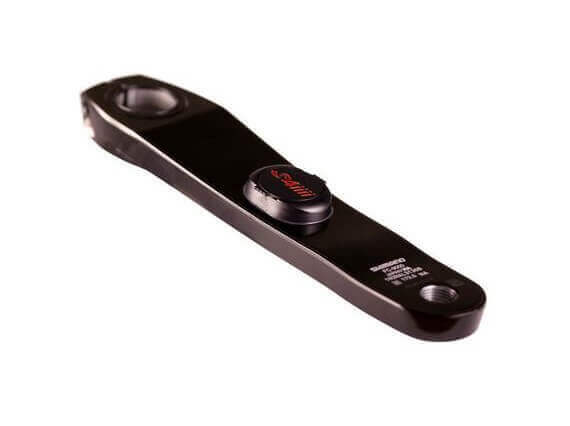 This 4iiii power meter replaces your current left-side crank arm. It measures the power that is generated by your left leg and doubles this value to determine your total watts. 4iiii uses patent pending 3-D tri-axial strain gauge technology in order to achieve +/- 1.0% accuracy, which places it among the most accurate power meters available. When it comes to weight, there is no equal. The 4iiii PRECISION sensor weighs a mere 9 grams – practically nothing! In addition, the power meter features dual ANT+ and Bluetooth SMART compatibility so you can use it with a wide range of devices. In short, the 4iiii PRECISION Shimano R7000 Power Meter is one of the most accurate, lightweight and affordable direct force power meters available! At only $399, the 4iiii PRECISION R7000 is one of the most affordable, ready to ride direct force power meters available. The PRECISION is accurate to within +/- 1.0%. This compares to average accuracy of +/- 1.0-2.0% for most other power meters. At only 9 grams of added weight, the PRECISION is the lightest power meter you can buy! The power meter transmits data via both ANT+ and Bluetooth SMART so you can use it with a wide range of devices. The 4iiii PRECISION Power Meter is compatible with all Shimano Hollowtech II road cranks. Please contact us if you have any questions on compatibility.